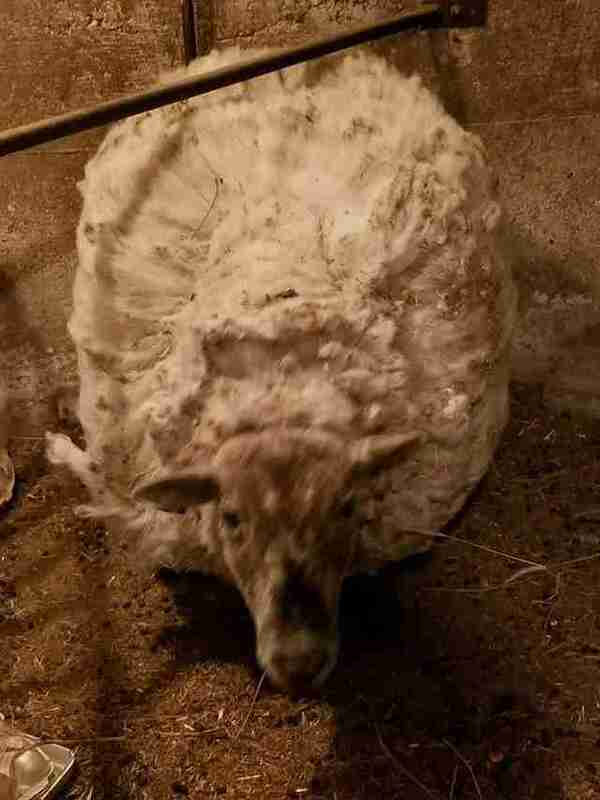 She was so furry she could barely walk — and was SO grateful to get her first haircut. 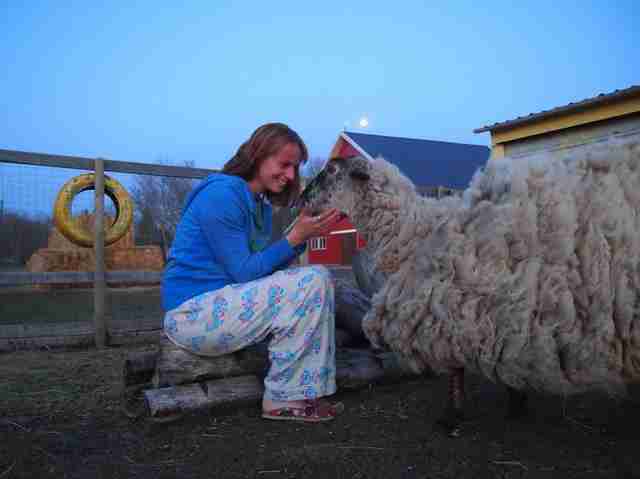 For years, Teddy the sheep used to live with a family in Manitoba, Canada. But one day, her family moved away and left her behind — and never came back for her. 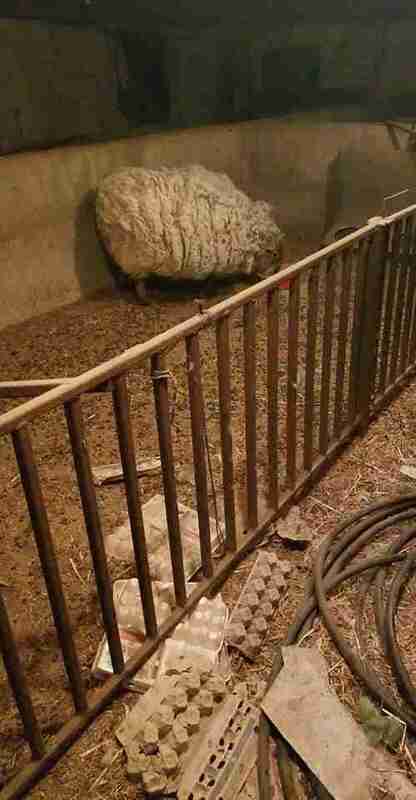 The family was long gone by the time the landlord discovered the scared sheep hidden inside the barn. 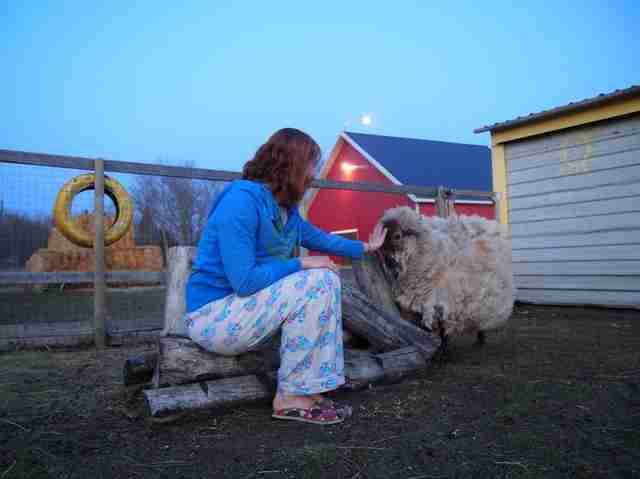 Her pen was filthy, and she was shut up in the barn with a chicken who had died in there. While it isn’t known how long Teddy had been locked up in there, it was clear she hadn’t been loved or cared for since even before her family left. Two women who knew the landlord stepped in to help. 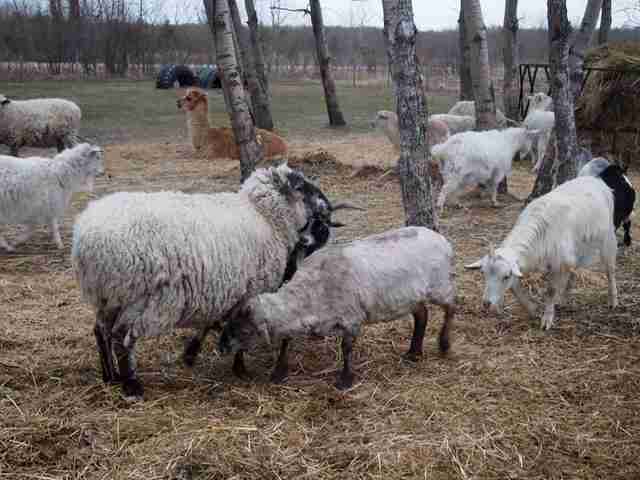 They contacted Karl and Raelle Schoenrock, cofounders of Kismet Creek Farm, a local animal sanctuary in Manitoba, and asked for their help. When they got the call in late April, the Schoenrocks were away on a family vacation, so one of the women took the sheep home with her for a couple of days. 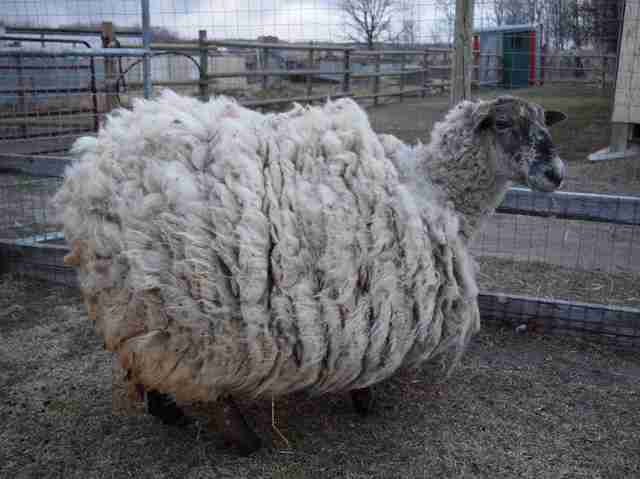 And as soon as the Schoenrocks returned, they went to get the sheep. 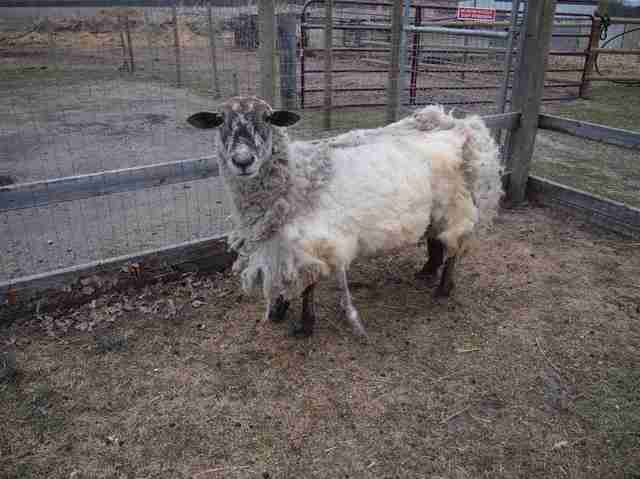 To Raelle Schoenrock, one of the most shocking things about the sheep’s condition was her overgrown fleece. The Schoenrocks decided to name the sheep Teddy. While Teddy wasn’t going to be reunited with her former owners, she had a new family now — and the Schoenrocks did everything they could to help Teddy settle into her new home. Initially, Teddy had to stay in quarantine, but they made it as nice as possible for her, and made sure she had plenty of hay and water. The next day, Teddy was checked over by a vet, and she turned out to be in pretty good shape. 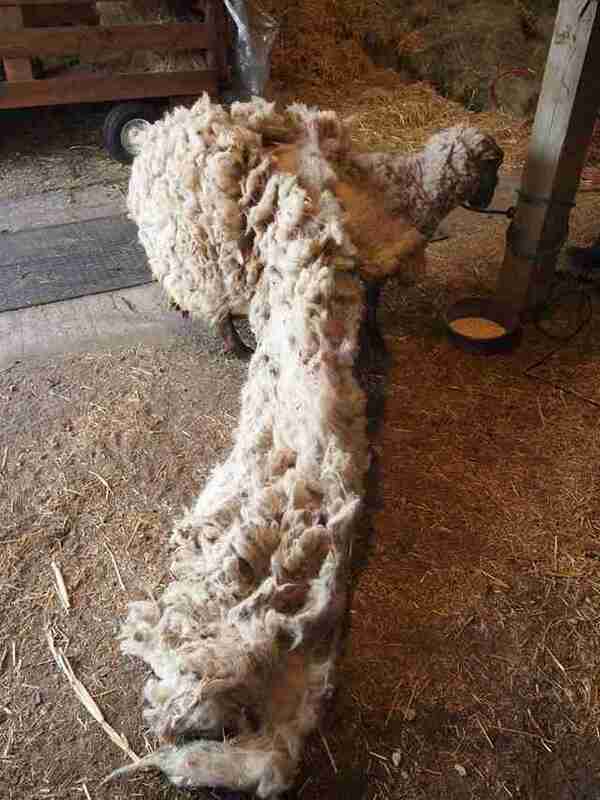 However, she badly needed to be shorn — an overgrown fleece can make it difficult for animals to move around, and if they fall over, they may not be able to get up again. 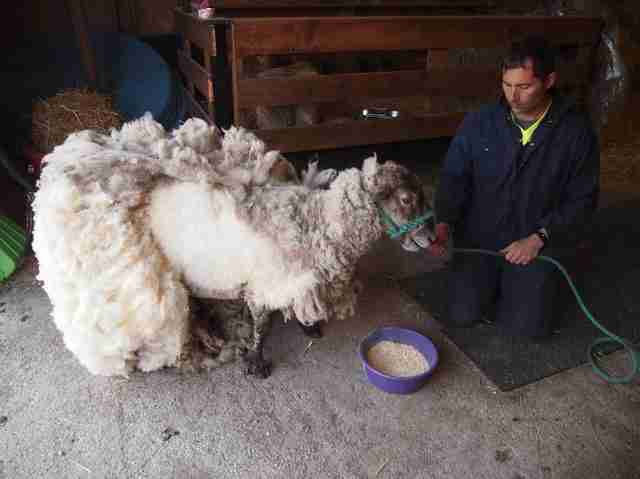 They sheared Teddy over the course of two days, eventually removing 16 pounds of fleece. 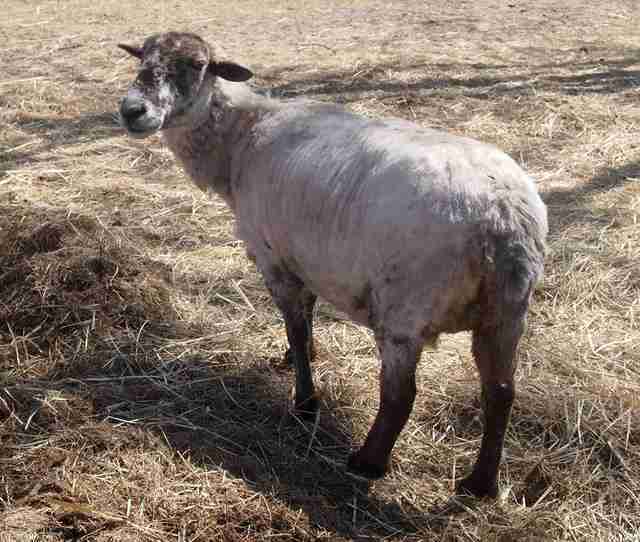 Teddy immediately felt better after being shorn. After being abandoned by her first family, Teddy had every reason not to like people — but she’s slowly learning to trust people again, and she now seeks out affection from sanctuary visitors. Raelle Schoenrock has formed a particularly strong bond with Teddy. To follow Teddy’s progress at Kismet Creek Farm, go to the sanctuary’s Facebook page.